Today we sailed from Árskógssandur at our 1 o'clock tour ready for the adventure we had ahead of us. The weather was good plus four degree Celsius with no wind. 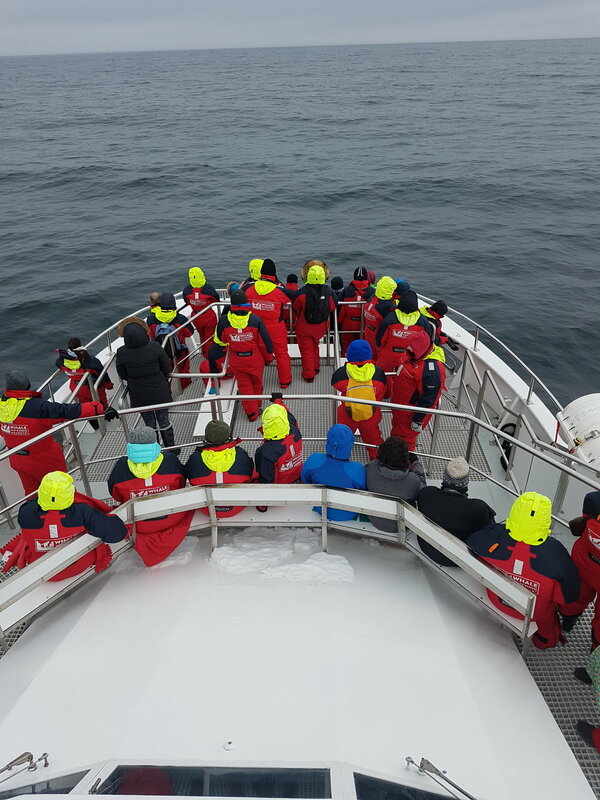 The sea condition was good however as we sailed closer to the open sea the under wave got stronger, we had to go to the entrance of the fjord to find a whale, what we found there was the the biggest animal that has ever lived on this earth the amazing Blue whale and one Minke whale. The sea state there was not the best, it was calm but with heavy swell close to the open sea, and unfortunately some passenger did not feel well, but most could enjoy being very close to this majestic creature. All in all a great day in our fjord today.